This is to inform you of the release of the EL- GORDO DE LA PRIMITIVA LOTTERY held on the 30th of September 2006 Due to the mix up of numbers, address and the holiday, the results were release on 29th October 2006. 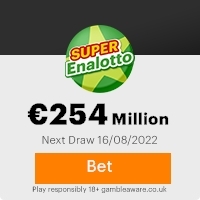 Your name attached to ticket number, 50745-0 with serial number 168-07632472-034 drew the lucky numbers of 07-08-10-28-46-49 which consequently won the lottery in the 6th category. You have therefore been approved for a lump sum payout of $850,639,96C (Eight Hundred and Fifty Thousand Six Hundred and Thirty Nine Dolars Ninty Six Cent), in cash credited to file with REF: NO. EGS/3662367114/13. This is from a total cash prize of â18,639,640,00 shared among the twenty three international winners in this category. CONGRATULATIONS!!! Your fund is now deposited with our Security Company and insured in your name. Due to mix up of some numbers and names, we ask that you keep this award from public notice until your claim has been processed and money remitted to your account as this is part of our security protocol to avoid double claiming or unwarranted taking advantage of this program by participants as it has happened in the past. All participants were selected through a computer ballot system drawn from (Six Million) names from Asia, Australia, New Zealand, Europe, North and South America Middle East and Africa as part of our International promotion program. We hope your lucky name will draw a bigger cash prize in the subsequent program. To begin your lottery claim, please contact your claiming agent, Mr. Michel Gonzales Foreign operation manager LA PRIMITIVA LOTERIAS Y APUESTAS DEL ESTADO on TEL: 0034685336006 Email: la_24primitiva@europe.com for the processing and remittance of your winning prize money to a designation of your choice. Remember, all prize money must be claimed not later than 30th of December 2006 any claim not made before this date will be returned to the MINISTERIO DE ECONOMIA Y HACIENDA. And also be informed that 10% of your Lottery Winning belongs to (IBERO PROMOTION COMPANY) because they are the promotion company that bought your ticket and played the lottery on your name, this ten percent will be remitted after you have received your winnings because the money is insured in your name already. NOTE: In order to avoid unnecessary delays and complications, please remember to quote your reference and batch numbers in every correspondence with us or your agent. Furthermore, should there be any change of address, do inform your claims agent as soon as possible. An original copy of your prize Winning Certificate will be send to you after you have claimed your winning. Congratulations once again from all members of our staff and thank you for being part of our International promotion program. We wish you continued good fortunes. Previous: YOUR EMAIL ADDRESS HAV ... 2006Fresh ScamsNext: YOUR EMAIL ADDRESS HAVE WON!!! This Email with the Subject "YOU WON" was received in one of Scamdex's honeypot email accounts on Tue, 31 Oct 2006 03:43:13 -0800 and has been classified as a Generic Scam Email. The sender shows as Anthonio Gomez <anthonio@gomez0.orangehome.co.uk>, although that address was probably spoofed. We recommend that you do not attempt to contact any persons or organizations referenced in this email, as you may expose yourself to scammers and, at the very least, you will be added to their email address lists for spam purposes.